Chairman John Bannatyne is pictured presenting a fantastic cheque for £1980 to RSABI Development Officer Andrew Dunlop at Lanark Agricultural Centre. 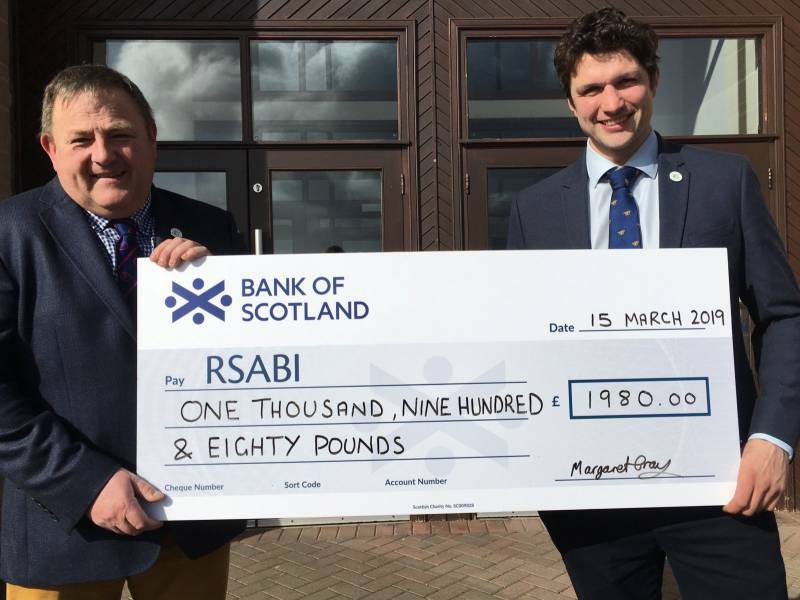 The funds had originally been raised at the LiveScot Rib Roast Auction to help RSABI support people in Scottish agriculture. We would like to thank ABP, AK Stoddart, A P Jess, Highland Meats, Jamie Chapman, John Scott Meats, McIntosh Donald, P R Duff, Scotbeef and Woodhead Brothers who donated a rib roast for the auction and all the purchasers on the day.